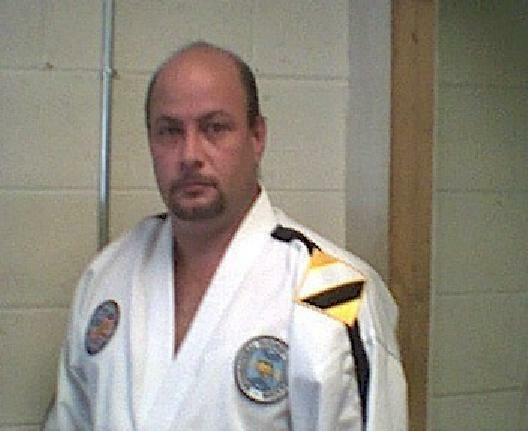 1974-1981 studied Tae Kwon-Do under Master Benny Rivera in Puerto Rico. 1981 awarded Ist Degree Black Belt by The Midwest Tae Kwon-Do Association, Headed by Grand Master James S. Benko. 1982-1987 Lived in the Rebuplic of Korea. Studied Tae Kwon-Do in Seoul at the Chong-Young Che Yuk Kwan under Master Kim, Young Gil. Master Maldonado was awarded II Degree Black Belt in 1986 by Dr. Um Young Kim president of the World tae Kwon-Do Federation ( W. T. F. ) In 1985 competed in the 16th Annual Foreigners Games winning silver medal in Tae Kwon Do competition. 1988 Returned to the US and opened schools in both Kentucky, Ft. Knox and Missouri, Ft. Leonard Wood. Under Master Soo Kon Kim was promoted to III Degree Black belt in 1989. 1989 Moved to Florida and contributed teaching time at Young-Ho Jun's school in Tampa. 1990 Moved to South Carolina and helped teach at Master E. S. Moon's school in Easley, SC. 1992 was promoted to IV Degree Black Belt. In 1997 was promoted to V Degree. In May 2002 was accepted as member to KATU Directed by Grand Master K. S. Hwang. In June 2002 was awarded the Presidential Sports Award by President George W. Bush. In 2003 was promoted to VI Degree by GM Julian Lim. Master Maldonado holds two Black Belts; one in W. T. F. and one in I. T. F.